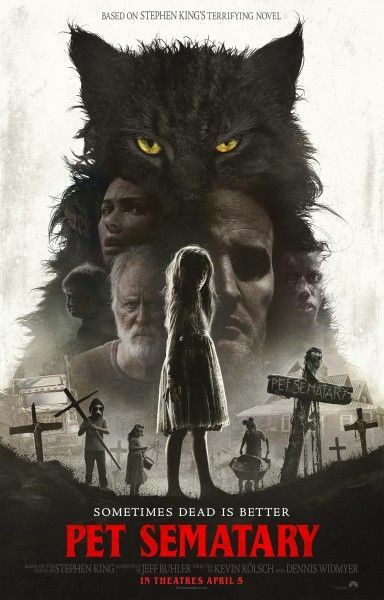 The most recent trailer for Pet Sematary is very effective but if you walk away wondering, why would Paramount spoil those plot details, I can certainly understand that reaction. That’s precisely why I asked directors Dennis Widmyer and Kevin Kölsch about the marketing campaign during our interview at SXSW where Pet Sematary celebrated its world premiere. As you’ll see in this brief transcript, I think there’s a case to be made for both going into the movie completely unaware of a certain plot point but also for jumping into this Pet Sematary adaptation knowing that it’s going to happen. But, with that being said, for those of you who have avoided trailers entirely and choose to go into the film knowing as little as possible, I’ll issue a spoiler warning for you right now. Go catch Pet Sematary in theaters on April 5th and then circle back for Widmyer and Kölsch’s thoughts on the way the film was marketed. For those of you who are still with me, the plot point in question is Ellie’s (Jeté Laurence) death, and also Widmyer and Kölsch’s decision to switch up that element from the source material. (In the Stephen King novel, it’s Gage who dies. Not Ellie.) You can check out what they had to say about that in the snippet from my interview below, but be sure to keep an eye out for the full conversation coming very soon. 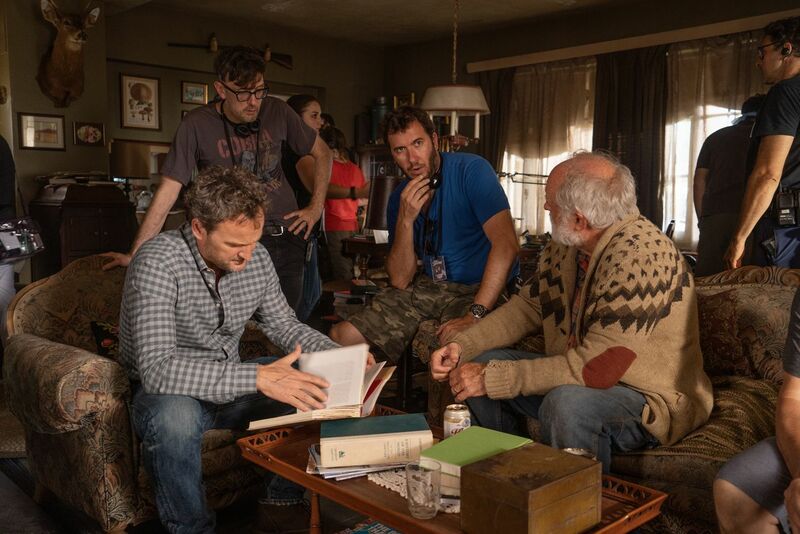 They discussed first pitching for Pet Sematary way back in 2014, how 2017’s IT paved the way for this movie, the status of Scream Season 3, and so much more. WIDMYER: I know. But let me ask you this – question! So the kids in the masks play a big part in all the marketing, right? Did you go into the film thinking that that was a big plot point that you were gonna see? WIDMYER: Good! That worried us because, we get it; it’s atmospheric and it’s a creepy image, and people love kids in creepy masks. But that was so embraced in the marketing that we confess, we were a little worried people were gonna expect that. Like, ‘Wait a second. Did they shoot a bunch of scenes and then delete them hastily?’ And we were like, ‘No, it was always one scene. That was just atmosphere.” So that’s good to hear that it didn’t throw you. Yeah, no. Not that. I think many out there specifically pinpointed the reveal that Ellie dies. WIDMYER: But you know what happened though? Yeah, we would not have done that, but we don’t work in marketing. But I will say though, to their credit, that we tested the film in a bunch of different cities, as you always do with studio films, and our score went up after the trailer was revealed. I’m not saying it was because of that. We had made the movie better obviously in between, but I don’t know. There is something to be said about people sort of knowing going in already what to expect and then being ready for it rather than blindsided by it if they’re not into it. I had a conversation about that last night and it was basically a conversation going in circles. I think you can make a case for both. WIDMYER: Yeah, it’d be great to live in an alternate reality where it was different and to see how people responded to it, but I don’t know. Let’s say you were into the movie the whole time and you were enjoying the movie, but in your heart of hearts you were waiting for Gage to die. And then in that moment he didn’t die. It doesn’t necessarily mean you’re gonna go, ‘Oh my god! Wow, they got me!’ You might just go, ‘F this. I don’t want that,’ you know? WIDMYER: Correct. You would have still been catching up. WIDMYER: I mean, people call it a twist. ‘Oh! They spoiled the twist!’ It’s not a twist. I mean, we didn’t spoil how the whole third act of the movie ends and we still haven’t, and they have not done that. If anything, it’s just an escalation. It’s a reveal, so you get to really live in that moment of the emotion and sadness by not thinking that you’re just seeing a surprise, shock moment. KÖLSCH: When you look at the trailer for the original movie, I mean, it shows that Gage comes back. So it’s a plot point of the movie, so calling it a twist or not wanting to reveal that we switched the child – which we were on that team at first! We were like, ‘Ah, let’s keep this secret. It’s gonna hit them so hard in the movie.’ But then you’re going like, ‘Well then you can’t really pitch what the whole movie’s about in your trailer,’ you know? Which was something that we learned in Starry Eyes as well because we didn’t want to reveal in Starry Eyes ultimately what was gonna be Alex’s sort of fate. So even our marketing team on that movie was like, ‘Ok, so I don’t really know what the trailer is. It’s a girl who goes on an audition and people are weird.’ Ok … [laughs].